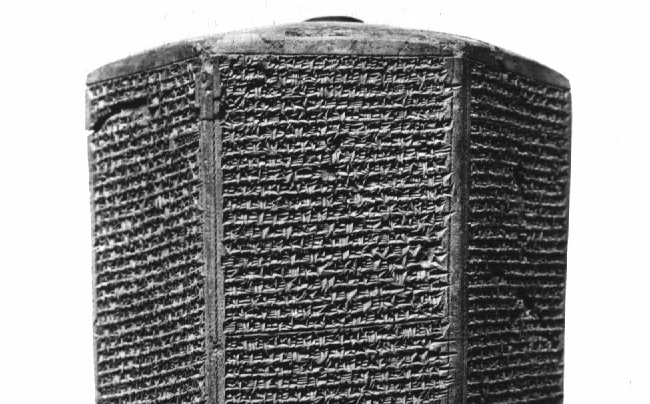 The ancient cuneiform texts known as The Assyrian Annals record that over twenty seven centuries ago, the great Assyrian Emperor, Tiglath-Pileser III, sent his terrifying armies through the western Asian lands, conquering the cities there, and seizing riches including: "gold, silver, . . . ivory, . 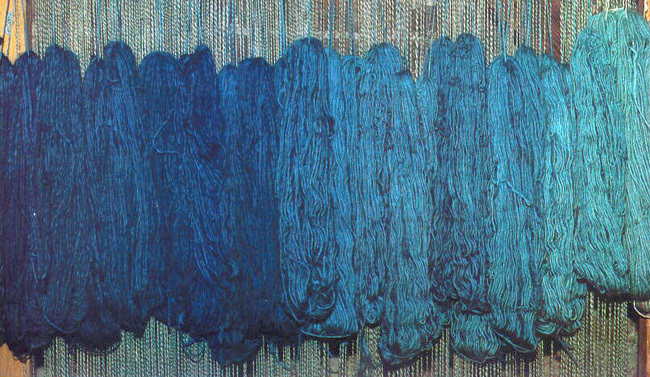 . . blue-dyed wool, purple dyed wool, ebony, . . . whatever was precious royal treasure." In his work Bulbach prizes the undyed colored wools as much, if not more, than the dyed wools. Their shades are rich and complex. 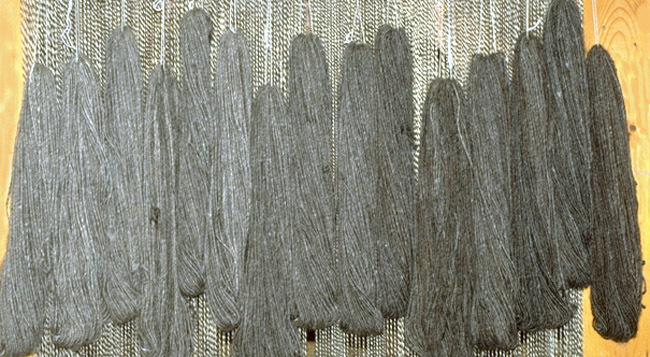 In the above image, one single Lincoln fleece was sorted by shade before spinning to provide this range of undyed colored weft yarns. The colored wools are very rare due to the modern agricultural industry, which exterminates sheep that are not 100% white. In this manner, the industry attempts to ensure a pure white product which can be dyed to the exact specifications demanded by the marketplace. Fortunately, sheep growers concerned about the preservation of rare breeds have been working closely with the renaissance of hand spinning to save colored stock and provide their wools to spinners for use in their special projects. The darkest black lustrous Lincoln long wools are quite rare and valuable. 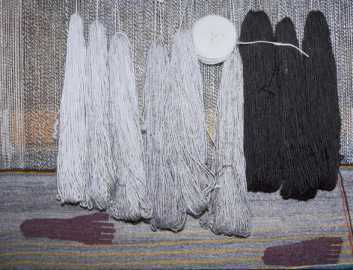 These darkest black and lightest silver wools in the image above come from two different Lincoln sheep. Indigo comes from a leguminous (bean) plant and requires a complex application process. It was historically prized as greatly as gold and silver. The word indigo comes from the Classical Greek, "indikos," meaning "of the Indus [River valley]," revealing the dye's ancient source. Cochineal is the Native American name for the cactus-dwelling insects that produce carminic acid which produces colors from scarlet to purple. The Spanish and English explorers fought to dominate the trade in this dye source. Yellow and gold hues can come from a number of sources, including American black oak and common goldenrod. When used with indigo dyeing, greens are produced.